They’re flailing away with a misdirection attempt. And then he said there’s some young kids that were doing something. Anyway, had to weed through an hour’s worth of call. We now have a full roster. So I’m kind of comforted by the fact that you people on hold have not been on hold all that along, actually, since it took Mr. Snerdley almost the whole hour to find callers. You know, people think we’ve got 10, 15, 20 phone lines. We don’t, folks. If we did, there’d be people on hold here for half the week. We don’t use that many. At any rate, we’re here, and I have been studying the reaction. This memo was declassified right as this program began today, which I don’t think is a coincidence. But the point is that everybody’s dealing with it on the fly, including me, although we’ve gotten to the nub of it pretty quickly. But I have been trying to study the way people panicked and opposed and in fear over this have been reacting, and they don’t have much yet. Now, they will, but they haven’t had time to coordinate, and it’s kind of surprising they didn’t do any pre-coordination. There are a lot of things about this now there are very mysterious to me. As devastating as this is, the effort to prevent its release could have been much more. But the people involved on the wrong side of this have, I think, rolled the dice and think they can withstand the heat that comes. Now, for those of you just tuning in, I just want to briefly go through the primary bullet points here of what we have learned from the four-page memo produced by Devin Nunes. But this time I want to preface it. 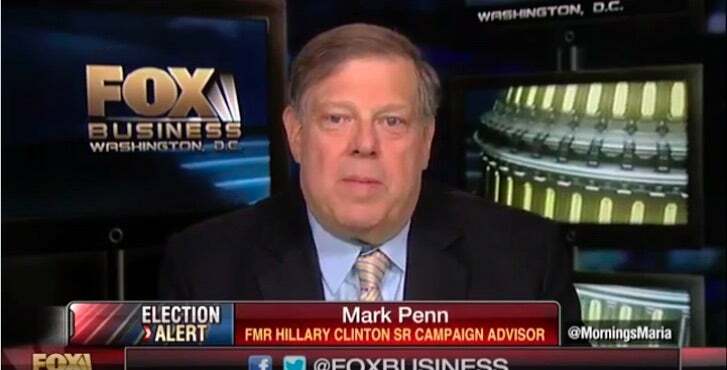 There’s a great piece at TheHill.com today by Mark Penn who’s a former pollster for Hillary. He now runs a polling unit, among other things, out of Harvard. He starts off by saying, “Both the New York Times and the Washington Post yesterday ran editorials calling for prior restraint,” meaning do not publish, “on a memo written by the duly elected chairman of the House Intelligence Committee after [the chairman] and his staff reviewed classified documents related to the so-called Russia investigation,” and it wasn’t just classified documents. There were people that eventually testified. Remember the FBI and the DOJ refused to answer subpoenas from this committee for over a year, folks, and them now caterwauling about what’s been released? But they refused to testify! But Mark Penn’s point here is really good. The Washington Post, the publisher of the Pentagon Papers, editorialized that this memo not be released. Ditto the New York Times. Penn says, “These editorials [and others like them in the Drive-By Media] are a stain on American journalism … and, I think [these journalists], will over time — regret them.” I disagree with that. Devin Nunes and his team think that we should see it. “The people who don’t want [us] to see it” or didn’t want us to see it “are the elected officials and leaders of the Democratic Party, the institutions and individuals whose actions are being reviewed, and several of the same newspapers that went to court to publish the ‘Pentagon Papers. '” And then there’s this point: “For about a year, anyone who wanted to could read the” fake, made-up, lying, politically originated, opposition paper known as the “‘dossier’ prepared by GPS Fusion and paid for by the Hillary Clinton campaign and the Democratic Party.” We’ve been able to read that for a year. We have been able to find and read all of these salacious lies about Donald Trump, and nobody has suggested that we shouldn’t. In fact, the very media trying to suppress this memo from Devin Nunes struggled mightily trying to find ways to publish the dossier so that we could all see it. BuzzFeed finally did. They wanted us to see the dossier! They wanted us to believe the dossier, even though they knew it was a pack of lies, even though they knew it was made up, even though they knew it was a political document that was commissioned as opposition research. They knew that Christopher Steele wrote the dossier with the assistance of Russian agents. They knew that Christopher Steele passionately opposed Donald Trump and did not want him to become president. They knew all of this. They knew it was made up, and they wanted all of us to read that — and, as such, for over a year we have all been able to read about the golden showers. We’ve been able to read about all the so-called Trump people that met clandestinely with Russian agents. Neither did the golden showers happen. But when it comes to the four-page memo — the same people pushing the dossier on us, the same people asking us to read the dossier, the same people reporting every salacious detail of the dossier — are now telling us that it’s not wise for the memo to be seen. The memo should not be published. Journalists in the same newspaper that fought and broke the law to publish the Pentagon Papers, as I pointed out yesterday, is now suggesting a four-page memo written by a duly elected representative of the people shouldn’t be seen. Mark Penn says, “I urge people to read” the stupid dossier. “It’s obvious nonsense. It’s not ‘unverified.’ It’s been discredited. Its major allegations, aside from being preposterous, have no basis in fact. The idea that something, anything, could be found in [that dossier] that is true — such as that Trump adviser Carter Page went to Moscow — does not rehabilitate it.” That’s the only thing in this dossier that’s true, and even that is misused. In light of that, a review: The Steele dossier formed an essential part of initial application for a warrant to surveil Trump and three subsequent renewal applications. The Steele dossier was it! That’s what they had. 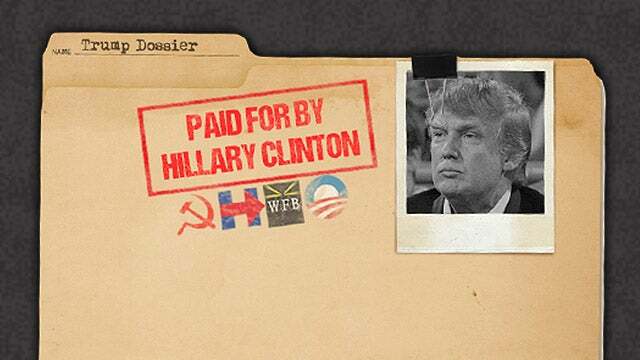 A made-up, salacious, factually absent opposition research document prepared for the campaign of Hillary Clinton was used to surveil — was used to secure a warrant from the FISA court to spy on Trump and his campaign. Andrew McCabe, deputy director of the FBI, confirmed that they would not have been able to even seek a FISA warrant without the dossier, which means they didn’t have anything else. They didn’t load it up with a bunch of other Trump stuff; there wasn’t any Trump stuff! Turns out there was nothing on Trump that had anything to do with collusion with the Russians. And so they had to rely on a totally made-up political opposition research paper dressed up as real intel to get a FISA warrant and then had that warrant renewed three separate times. The political origins of the dossier were known. In other words, people at the Department of Justice and the FBI — and this means Loretta Lynch. This means James Comey. This means up to Obama. This means people knew that the Steele dossier was an opposition research document form the Clinton campaign. It was not intelligence. They knew that but did not inform the FISA court of that. That’s bad enough. But to add to the weight of their application, they included media reports on the dossier in the FISA court application. I was really worried that expectations for this memo had been raised so high that no matter what the contents people would react, “Is that it? Is that all?” Folks, if anything, this memo was undersold. The revelations in this memo, even though the foundation of it we suspected and were very certain were true, the add-on items, the confirmation of the political corruption of the FBI at the upper levels and the DOJ, ditto, is inescapable. And we now find out that the special counsel is investigating the wrong people! And that’s on purpose! The special counsel needs to be investigating the Clinton campaign and its conspiring with Russia to influence the outcome of a presidential election and then question the legitimacy of that election after it had happened. The collusion, the conspiring, all of that happened with the Democrat Party, with Hillary Clinton, the DNC, Fusion GPS, and the wife of Bruce Ohr, a DOJ official whose wife worked at Fusion GPS. This is entirely a Democrat-run operation! Trump was nowhere near it. The special counsel is now looking for evidence of Trump conspiring with Russia, so there’s none. Nobody found any. Now they’re looking at Trump obstructing justice. This is a major, major expose. The swamp, the establishment has had the lid blown off of it today. RUSH: Steve in Boise, Idaho. Great to have you. You’re next. Welcome to the program. Open Line Friday. CALLER: (muffled cell) Hi, Rush. How are you? RUSH: I’m doing very well, actually. Thank you very much. How about you? CALLER: I’m doing good. Just had a question now that the memo is released. I just want to get your thoughts on the impact it will have on Mueller and his investigation. Do you think it will change anything going forward? That’s not what they do. When you get a special counsel, you are guaranteeing that somebody’s gonna be indicted. Let me draw the… You’re not guaranteeing somebody’s gonna be indicted. You are guaranteeing that, at minimum, a recommendation is gonna be made to the Department of Justice that somebody be indicted or Mueller might. But this memo today reveals the unsavory nature of the pursuit of Trump-Russia conspiracy. Mueller long ago gave that up because there isn’t any, there wasn’t any, and there isn’t any evidence. What Mueller is focusing on now is obstruction of justice. Did Trump, did Donald Trump Jr., did Hope Hicks conspire to hide facts from that meeting with the Russian honey pot, Veselnitskaya, who came to the Trump to talk to Trump Jr. Supposedly, they were peddling dirt on Hillary. But they weren’t. They just used that to get the meeting. She was really seeking influence on the Magnitsky Act, which has to do with the adoption of Russian citizens. But that is another whole Russian conspiracy designed to influence American legislation. The way they got it — the way they got the meeting — was to call Trump Jr. or tell Trump Jr. via email that they had some dirt from the highest levels of the Russian government on Hillary. Trump Jr. said, “Well, hell yeah, we’ll listen to that.” They had the meeting, and it turned out the meeting was totally under false premises, and Jared Kushner left the meeting in like 30 seconds. Now the controversy is that Hope Hicks supposedly said, “Nobody’s gonna ever see these emails.” So now we’re being told that they’re pursuing Hope Hicks and Trump Jr. for obstructing justice. Mueller will not get out of the office intact if that happens. So you better brace yourselves. Somebody’s gonna get charged with something here. Now, there was a story at The Atlantic. The Atlantic is a very radical left-wing rag. Some people might think it’s not radical, but regardless, it’s… I mean, the left has become radicalized. I forget the name of the writer, but he wrote a piece that was designed to kind of bring the readers back off the ledge. He said (summarized), “I guarantee you Donald Trump will not be indicted by Robert Mueller. Robert Mueller will not indict Donald Trump. It isn’t gonna happen. Presidents don’t get indicted. That’s not the way this is gonna go down. Do not expect Trump to be indicted. It ain’t gonna happen.” That may very well be true, but what if Trump Jr. is, or what if he tries to indict Hope Hicks? They’re gonna try to get somebody. They have to get somebody after all this time and money! Even if there’s nobody to get, they’re gonna get somebody. It’s the nature of the beast.